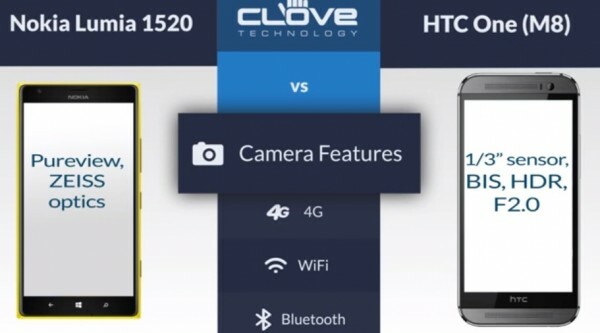 In this comparison by Clove, I was hoping by now they would have updated their video because when it reaches the camera, it bothers to mention UltraPixel but not PureView. 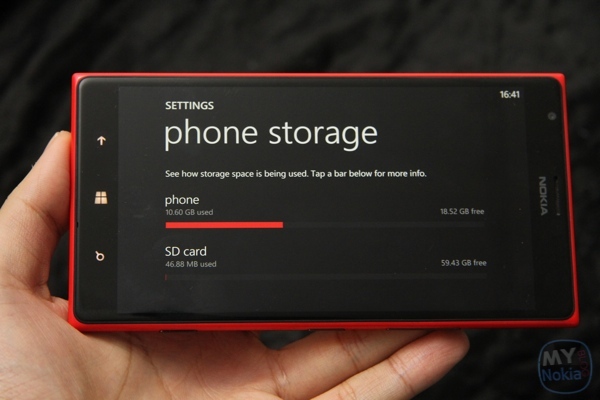 I guess there’s really no mention of the depth camera for the M8 either. 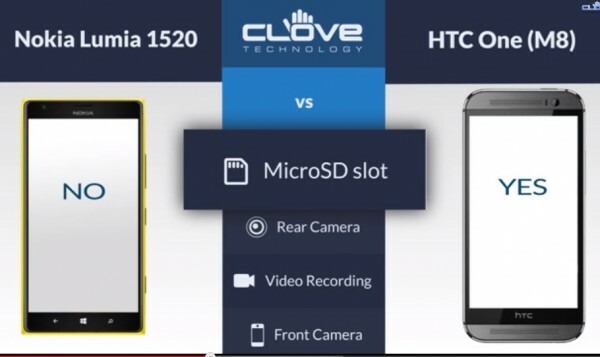 It reserves this later on to discuss “Camera Features” where whilst mentioning that the HTC One has a 1/3″ sensor, fails to mention the Nokia Lumia 1520 has a bigger 1/2.5″ sensor. Nothing about the quad microphones for recording or optical image stabilisation for the 1520. If someone actually cares about how the pictures perform rather than specsheet wise, the 1520 wins there too. Oh, the other glaring mistake.